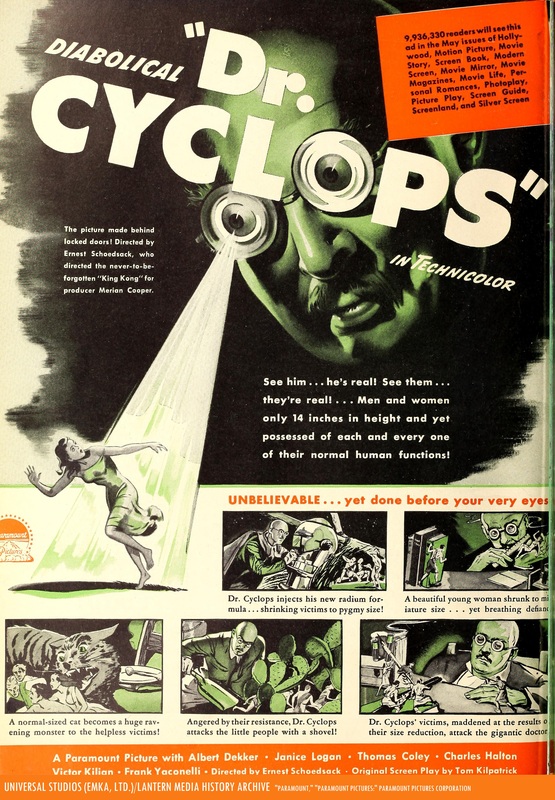 Fellow Svengoolie SvenPals everywhere will be excited for his big broadcast premiere of a classic Columbia Pictures sci-fi/fantasy creature feature. Original 1961 Columbia Pictures theatrical trailer for “Valley of the Dragons,” with added Italian subtitles. The legendary Berwyn/Chicago-based sci-fi/fantasy film host will present his big broadcast premiere of “Valley of the Dragons” (1961), this Sat., April 20 at 8 p.m. Eastern/7 p.m. Central on Me-TV. 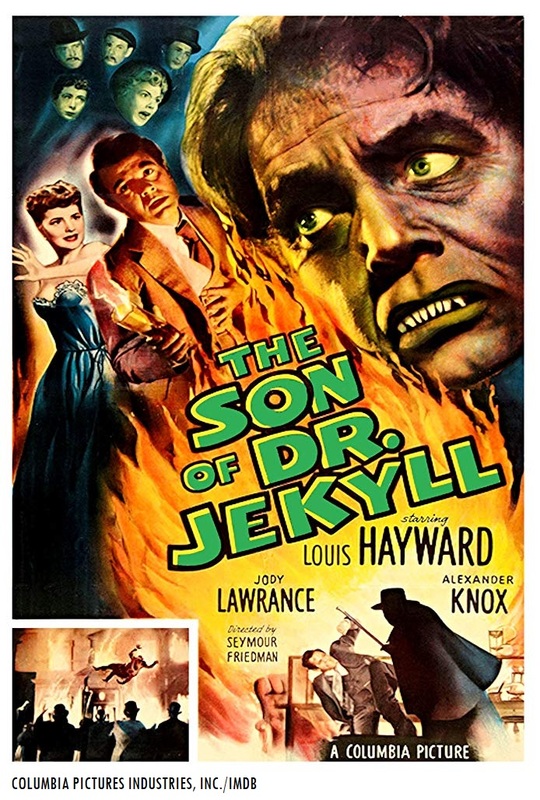 The 1961 sci-fi/fantasy creature feature was directed by Columbia veteran Edward Bernds. Bernds started out as a sound engineer for the studio, notably for his work on Frank Capra’s acclaimed Columbia features; including “It Happened One Night” (1934, with Clark Gable and Claudette Colbert), “Mr. Deeds Goes to Town” (1936, with Gary Cooper and Jean Arthur) and “Mr. Smith Goes to Washington” (1939, with James Stewart, Arthur and Claude Rains). Bernds later directed numerous Columbia short comedies featuring The Three Stooges (with Moe Howard, Larry Fine and Jerome “Curly” Howard from 1945 until Curly’s stroke in 1947 and the Stooges’ shorts with Shemp Howard from 1947–1952). Bernds would later direct two feature-length Columbia “Stooge” productions with “Curly Joe” DeRita, “The Three Stooges Meet Hercules” and “The Three Stooges in Orbit” (both 1962). Some of Bernds’ non-Columbia features that he directed were “Queen of Outer Space” (1958, for Allied Artists) with Zsa Zsa Gabor and the Twentieth Century Fox sequel to 1958’s “The Fly,” “Return of the Fly” (1959) with Vincent Price. 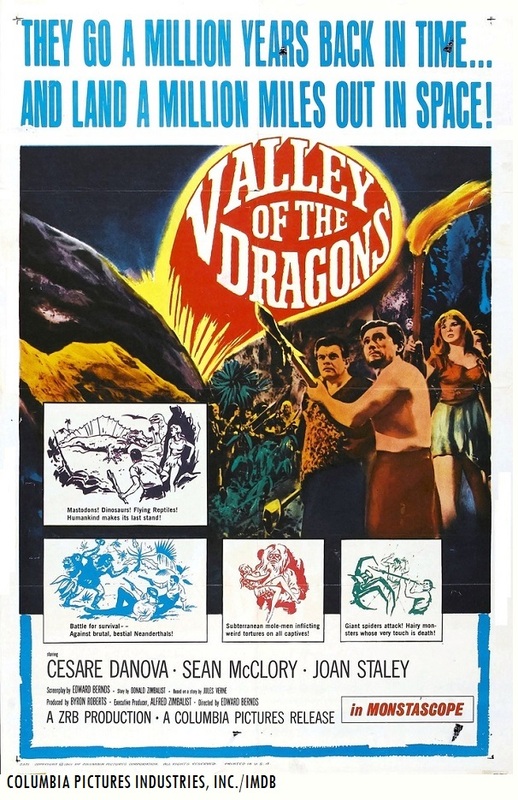 According to Clive Hirschorn’s retrospective book on Columbia Pictures, “The Columbia Story;” Bernds also wrote the screenplay for “Valley of the Dragons,” which was adapted from Donald Zimbalist ‘s story treatment. Bernds and Zimbalist’s work was loosely inspired by Jules Verne’s novel, “Career of a Comet” (a.k.a., “Off on a Comet” and “Hector Servadac”). Who was in “Valley of the Dragons” (1961)? The players who appeared in Bernds’ 1961 Columbia sci-fi/fantasy creature feature were Cesare Danova (as Hector Servadac), Sean McClory (as Michael Denning), Joan Staley (as Deena), Danielle De Metz (as Nateeta), Gregg Martell (as Od-Loo), Gil Perkins (in the dual roles of Tarn and a Doctor), I. Stanford Jolley (as Patoo), Mike Lane (as Anoka), Roger Til (as Vidal), Mark Dempsey (as Andrews), Jerry Sunshine (as LeClerc) and Dolly Grey (as Mara). Fellow Svengoolie SvenPals everywhere will be excited about his big coast-to-coast broadcast premiere of a classic Columbia Pictures sci-fi underwater creature masterpiece. 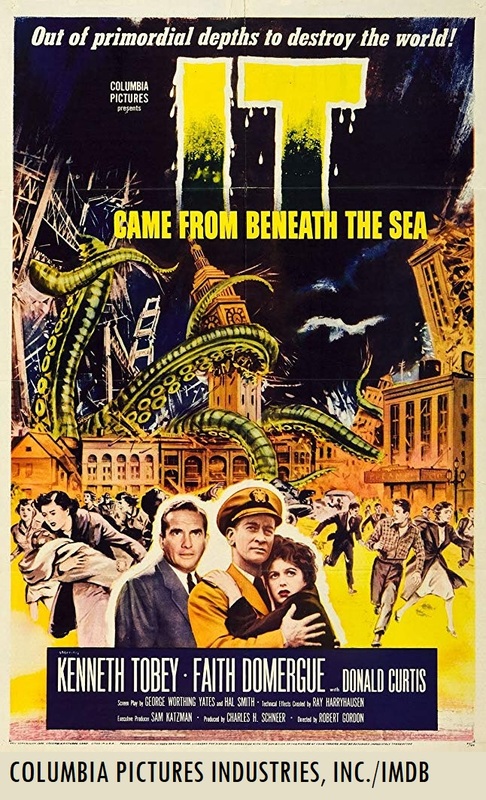 The legendary Berwyn/Chicago-based sci-fi creature film host will present his big coast-to-coast broadcast premiere of “It Came from Beneath the Sea” (1955), this Sat., March 9 at 8 p.m. Eastern/7 p.m. Central on Me-TV. “It Came from Beneath the Sea” (1955) was directed by Robert Gordon, who also worked on the Columbia film noir-mystery feature “Blind Spot” (1947, with Chester Morris). 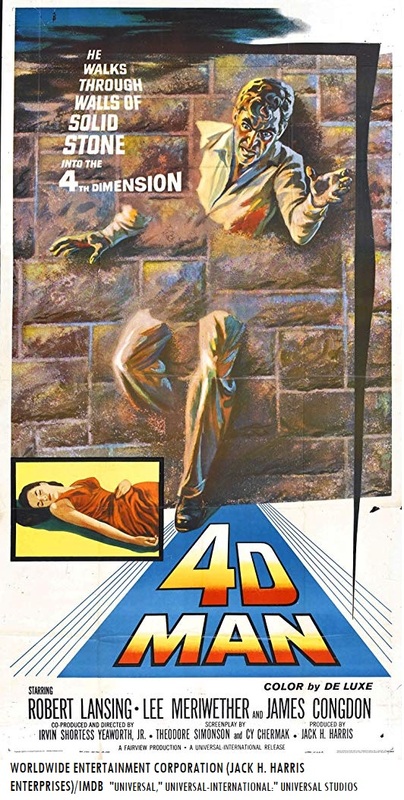 Visual effects and stop-motion animation pioneer Ray Harryhausen worked on the Dynamation stop-motion creature effects for Gordon’s Columbia sci-fi production. 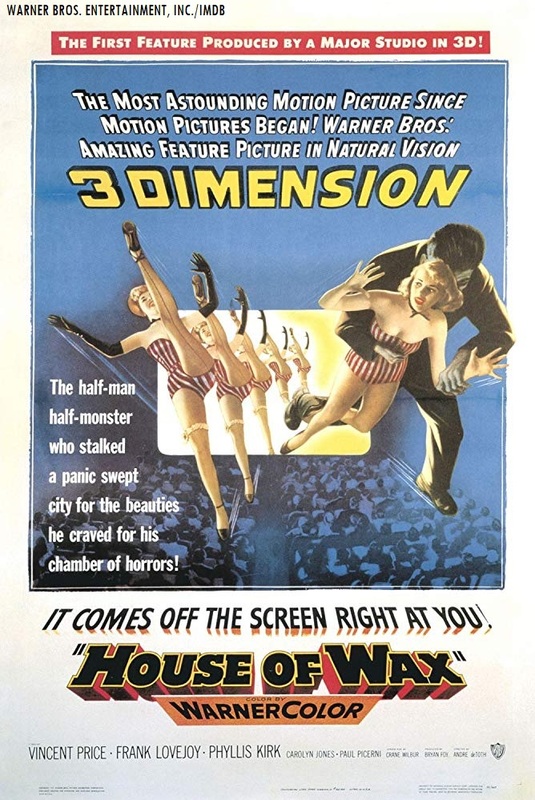 This would mark the first collaboration between Harryhausen and producer Charles H. Schneer. Schneer was impressed by Harryhausen’s earlier stop-motion visual effects work for Eugène Lourié’s Warner Bros. sci-fi monster-creature feature, “The Beast from 20,000 Fathoms” (1953, according to Richard Harland Smith’s article for Turner Classic Movies). Veteran studio producer Sam Katzman served as executive producer for the Harryhausen-Schneer-Gordon Columbia sci-fi creature film. Sven previously aired “It Came from Beneath the Sea” (1954) on his hometown television station in Berwyn/Chicago, WCIU-TV 26/”The U” back in June 2010; according to IMDB. Who was in “It Came from Beneath the Sea” (1954)? The players who appeared in “It Came from Beneath the Sea” (1954) were Kenneth Tobey (as Cmdr. 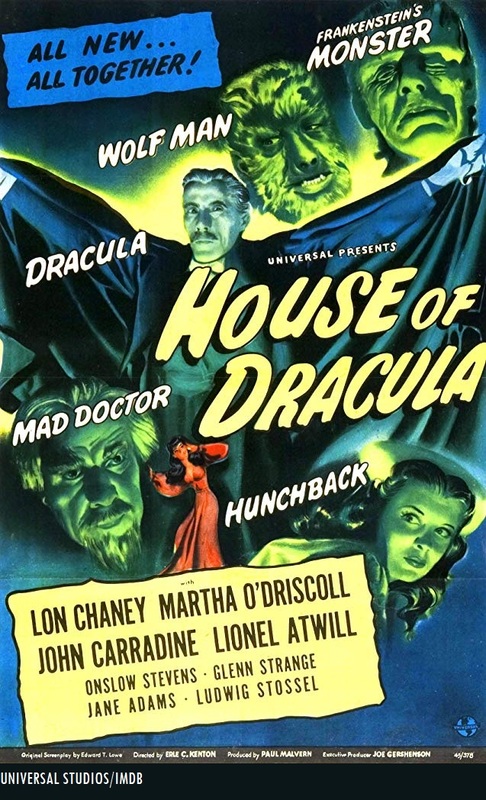 Pete Matthews), Faith Domergue (as Prof. Lesley Joyce), Donald Curtis (as Dr. John Carter), Ian Keith (as Admiral Burns), Dean Maddox Jr. (as Admiral Norman), Chuck Griffiths (as Naval Lt. Griff), Harry Lauter (as Dep. Bill Nash), Richard W. Peterson (as Capt. Stacy) and a rare uncredited cameo on-screen appearance by producer Charles H. Schneer (as an extra).